Those square buttons on the faces of our electrical outlets go unnoticed until we find ourselves frantically drying our hair before work and the frustrating little things keep popping out. We push the buttons over and over without realizing how important they actually are. 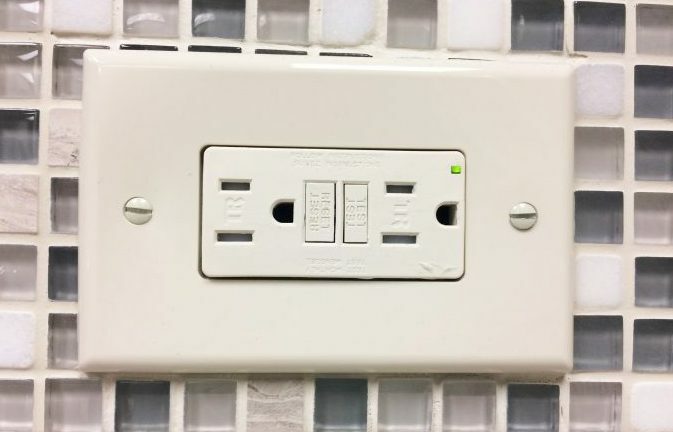 Ground-fault circuit-interrupter receptacles, better known as GFCIs, are devices found on outlets, electrical equipment and extension cords that keep us safe by shutting off the flow of electricity when an imbalance in electrical current is measured. Licensed electricians will insist that they are a necessity in bathrooms, kitchens, garages and near other sources of water like swimming pools. Small devices such as hairdryers often have them built directly in as well. Water can cause electrical equipment to short circuit resulting in electrocution, so these devices keep us safe by shutting down the flow of electricity in a fraction of a second after water contact. They are easily reset right at the outlet receptacle, and it is critical that they aren’t ever blocked by furniture. Just because an outlet in your home doesn’t have a receptacle directly on it doesn’t mean it isn’t protected by a GFCI. These protection devices are also commonly installed in the breaker box to protect all wiring and appliances connected to an individual circuit. GFCI circuit breakers are just as easy to reset as the GFCI receptacles. You simply need to locate your breaker box and flip back the tripped switch. How can you test GFCIs for proper function? The easiest way to test your GFCI receptacle is to use a GFCI voltage tester. They plug into the outlet and indicate proper function using LED lights. These convenient tools are available in hardware stores. You can also just plug in a device, such as a lamp, and press the “test” button. If the lamp goes out, the GFCI has done its job. It should light up again with the “reset” button. Licensed electricians recommend testing your GFCI outlets for proper function monthly. They undeniably save lives, and these tests are too important to skip! In the event that your testing is indicating a malfunction, replacement of these devices is relatively simple. If you feel comfortable to take on the task, here is a link to a step-by-step guide to help you. If working with electricity seems overwhelming, don’t hesitate to turn on your Repairman App. A licensed electrician will arrive in a flash to make this quick fix for you! To find an expert electrician in your area, check out the Repairman App today. You can also find the latest news and updates by signing up for our newsletter. And if you are searching for more home improvement topics and tips, you can learn more by reading the rest of our blog.